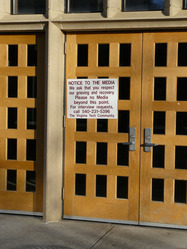 Sign affixed to doors of Torgersen Hall. 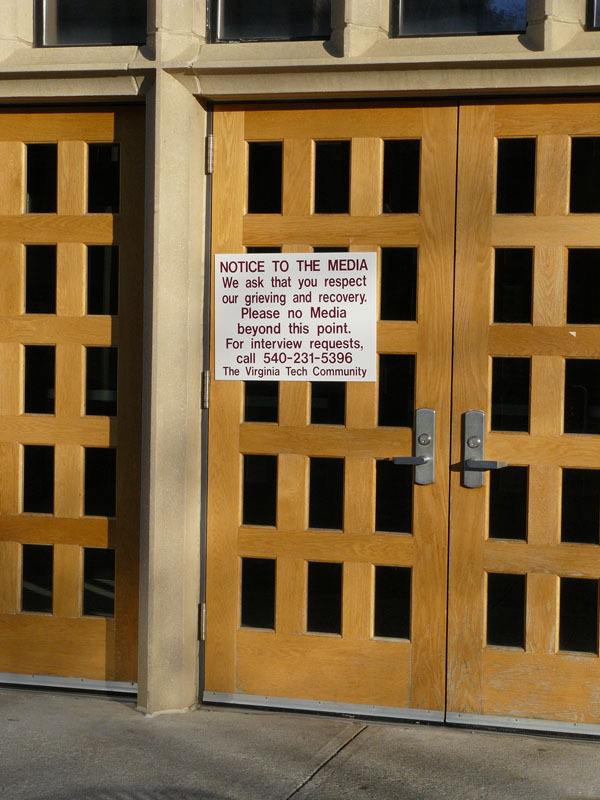 By the time that this photo was taken, virtually all buildings on campus had signs like this on all entrances. Photo taken Friday, April 20. Brent Jesiek, “Notice to the Media (Sign),” The April 16 Archive, accessed April 24, 2019, http://april16archive.org/items/show/12.